LSU tops Yale 79-74 for the program's first NCAA Tournament win in a decade, and we storm the locker room after to talk about all the relevant topics as the Tigers prepare to take their shot at the Sweet 16. - Skylar Mays on keeping the team connected - Tremont Waters on the emotions of his NCAA Tournament debut - Assistant coach Greg Heiar on game planning against the Bulldogs - Marlon Taylor on shutting down a future pro and the Ivy League Player of the Year - Heiar on flipping the page to the next opponent on just two days turnaround Lots of audio from postgame, and plenty of breakdown on how the Tigers started fast and finished not so fast to beat Yale. I also throw out a theory as to why the Tigers' shooting fell off from a torrid first half to a tepid second half. Share/subscribe/review/#BootUp. Naz Reid is a new man. The freshman forward arrived in Baton Rouge this summer 272 pounds and with a reputation for not having an elite motor. Months later, he's leading the team in rebounding, charges taken, and is the best second half player in the SEC. So much for not having a motor. We sat down with Naz for this week's episode (12:00) to talk about growing up in New Jersey, playing in Rucker Park, and how he transformed himself into a second half machine. Before that, we preview the road trip to Alabama with Will Wade and talk about how this team has become one of the best road teams in the country. Goosebumps. That's the prevailing memory I'll take away from LSU's 82-80 overtime win over Tennessee on Saturday. It wasn't the win, which set the Tigers back atop the SEC and put them back in control of their conference championship destiny. It was the atmosphere, the emotion, the awe of two great teams at their best, competitors engaged at the highest levels of performance despite seemingly insurmountable odds. We talk a little bit about that on today's show, before breaking down the nuances of the win: Javonte Smart's clutch showing, Skylar Mays' shotmaking, Darius Days' versatility, Kavell Bigby-Williams' quiet, consistent excellence, Marshall Graves' moment of magic, and Wayde Sims' ever-present spirit in what Will Wade called a total team win. We also talk about Wade's comments on his team's need to find consistency heading into Tuesday's crucial tilt with Texas A&M, and we finish with some words from Skylar Mays that you don't want to miss. Buzzer beater alert! Buzzer beater alert! Kavell Bigby-Williams' last-second tip-in pushed LSU past No. 5 Kentucky in Rupp Arena on Tuesday night. We cobbled together a quick reaction podcast with audio from Will Wade's postgame press conference. Some topics touched on: - LSU's second half adjustments defensively - What the Tigers didn't change after halftime - Emmitt Williams rising to the occasion - Skylar Mays setting the tone - Wayde Sims watching from above #Forever44 - Lots more Stay tuned for another episode later this week. And then there were two. LSU's 89-67 win over South Carolina on Saturday leaves the Tigers with Tennessee as the only unbeatens left in the SEC. It also put LSU back in the AP Top 25, as well as inside the top 10 in RPI and the top 15 in the NET rankings. What's fueling this winning streak, Will Wade says, is the team's connectedness. He talks about what a connected team means, praises his scout team, and explains why he's been dancing after all these wins. We also down that win over South Carolina, including Tremont Waters' stellar streak, big boy basketball, and, as usual, some nerdy numbers on LSU's new-look starting lineup and a revamped bench. Later, we go 1-on-1 with Marlon Taylor, asking him the question everyone wants to know: exactly how high is his vertical leap? Two road games. Two road wins. One matchup of unbeatens. LSU hit the road last week and came home with its first two road wins in a calendar year. Now, the Tigers are up to No. 16 in the NET Rankings and one of three undefeated teams in SEC play. On this week's show, we break down the Arkansas and Ole Miss wins (4:00), how a new road routine is fueling LSU's success away from home (5:07), the electric partnership of Marlon Taylor and Tremont Waters (6:40), and Naz Reid and Kavell Bigby-Williams' horses-for-courses approach (8:50). 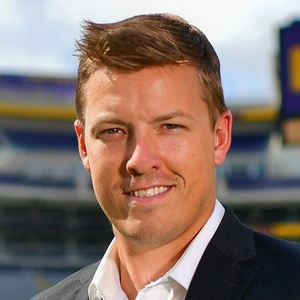 Finally, Dane Bradshaw -- former Tennessee Volunteer standout and currently a color analyst for the SEC Network -- joins us to break down LSU's hot streak. He's called each of the Tigers' last two wins and will be back on the call Saturday vs. South Carolina at 5 p.m.
LSU started off conference play with an 88-79 win over Alabama. We break it down, including how Kavell Bigby-Williams and Ja'vonte Smart accepted new roles and starred in them, how Tremont Waters continues to dazzle, and what went right and wrong on the night. At the end, we take questions from the listeners, including how LSU can close games out better, how to attack zones, and if Kavell Bigby-Williams can be cloned. The first episode of the new year is here, and so is SEC play. The Tigers get started Tuesday at home against Alabama. We preview that game, take a big picture look at the SEC, look back at LSU's 81-69 win over UL-Monroe, break down the improvement of Naz Reid and Tremont Waters, and go 1 on 1 with Skylar Mays. Oh, and we talk to Emmitt Williams about his shorts. 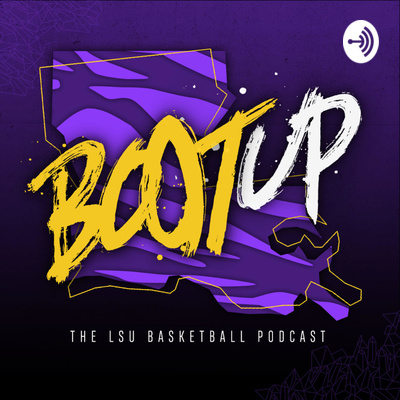 LSU sophomore guard Tremont Waters (11:15) is the guest on this week's episode of Boot Up: The LSU Basketball Podcast. Waters talks coming off the bench (11:50), improving as a defender (12:50), playing with more talent than ever before (13:50), changing his body (15:40), drinking more water (16:45), his tattoos (22:00), the four NBA players he'd pick to form a superteam with him (23:50), and being compared to the all-time great point guards at LSU (25:00). We also recap the 75-57 win over previously undefeated and top-25 Furman. Remember to subscribe, rate, and review the podcast. Also, download the Anchor app and you can submit questions via voice message. We'll play the best ones back on future episodes. Happy to be joined this week by LSU head coach Will Wade, who comes on for 15 minutes to recap a West Coast swing and preview a Friday home matchup with undefeated Furman. Topics covered include: the 2018 recruiting class (13:45), what he's learned about his team through 11 games (14:55), patience (16:20), skilled sailors (17:20), Houston and toughness (19:15), finishing (21:30), Tremont Waters' breakout vs. Saint Mary's (23:10), Skylar Mays' superb play (24:30), and why Furman is so good. It's a big week for LSU hoops. The Tigers hit the road for a matchup with undefeated Houston, who just cracked the top 25 and are one of just eight unbeaten teams in the country, before heading to Vegas Saturday to play St. Mary's. To preview the game, Cody brings on LSU assistant coach Greg Heiar. Heiar talks player development, the stellar play of Skylar Mays, the promising performances of Ja'Vonte Smart, and how Tremont Waters is working hard to get back to his best form. On today's show, Cody sits down with Kavell Bigby-Williams to talk about lessons learned in Orlando, getting started playing basketball at 15, growing up in London, and more. Cody also recaps LSU's 78-57 win over Grambling, with a focus on the play of freshman Darius Days and Bigby-Williams' 9 blocks. LSU is back from a 1-2 trip to the Advocare Invitational, and Will Wade has his sights set on solutions to the Tigers' problems after two defeats. On this episode, we break down why Marlon Taylor and Darius Days are in for more minutes, the changes to look for in LSU's offense, and the stellar start to the season by Skylar Mays. Later, we take a couple of your questions and hear from Assistant Athletics Director of Business and Finance Matt LaBorde on the new food in the PMAC. Yes, you can get Chick-Fil-A, Fuzzy's Taco's, and Burgersmith and watch basketball at the same time. Matt is also one of the administrative overseers for Men's Basketball and was in Orlando with the team, so he gives an on-the-ground picture of the weekend. On today's episode, Cody breaks down two home wins for LSU over UNC-Greensboro and Memphis. He talks what's working for LSU, what needs work, and what trends to keep an eye on -- with a deep dive into the numbers. At the 29:00 mark, a feature on Naz Reid and how the 6-foot-11 freshman has grown -- both literally in terms of height, and on the court as LSU's best three-point shooter early in the season. At the very end, Will Wade gives a two-minute scouting report on Louisiana Tech, who the Tigers take on at 7 p.m. Friday. Will Wade sits down for a 30-minute conversation on the season ahead. He breaks down every player on the roster and discusses some of the changes to keep an eye out for this year. Then, junior guard Skylar Mays sits down for a quick conversation on his pre-med classes, which teammates he'd most like to dunk on, which teammate has the most irrational confidence, and his goals for the season. At the end, Coach Wade comes back for a 60-second preview of the season opener against Southeastern on Tuesday night at 7:30 p.m.